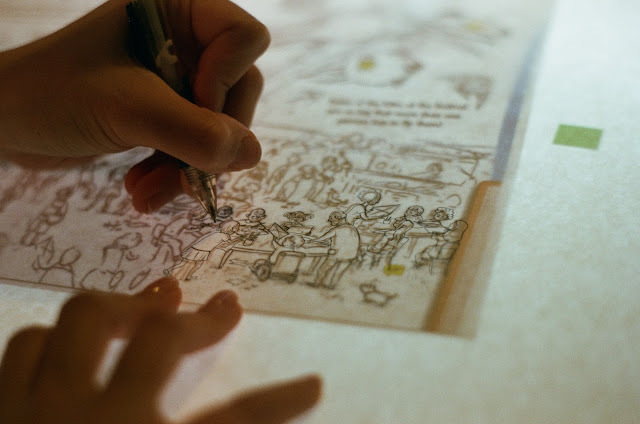 I almost forgot this picture my sister took of me, while I was working on the large spread illustration for CHIRP magazine…a few weeks ago. I worked from a rough template I had done on a small piece of paper and blew up on print. I find it easier to work my compositions that way.